We’re doing face painting and cake decorating. Hopefully it will be well attended and go smoothly. If it’s total sugar fueled chaos, it may actually put us off having kids altogether…! There will be several bumps and babies, so I’m bracing myself. This (or near enough, date wise) should have been our first’s 2nd birthday party, so feeling slightly emotional about that. It got me wondering about the significance of dates. 23rd November, 2011 – MMC1, 23rd May 2012 – MMC2, 12th June 2013 – MMC3. The evening that my husband went out to tell his close friend that I had miscarried for the first time, was the same night that his friend wanted to tell him that he and his wife were expecting their second. It’s always strange seeing their son, who will always be the age our first would have been. I haven’t set this cake event up in memorandum or anything like that. It’s not healthy, I think, to dwell on these things. But I wanted to take a moment, just to think of the 2nd birthday party that never was. Excellent day at http://www.greatswim.org/events/great-east-swim. 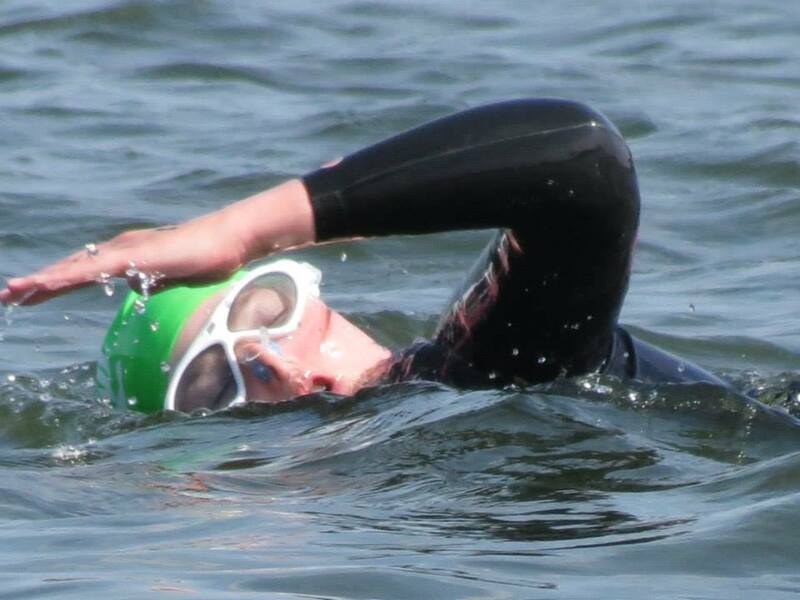 Completed the 2 mile open water swim in 01:25:17. It was, quite simply, an amazing event and a great day. So pleased with my achievement! Tomorrow I’m going to put my body through a tough physical ordeal. I’m going to swim 2 miles in open water (http://www.greatswim.org/events/great-east-swim) for Tommy’s the baby charity (http://www.tommys.org/). I am quite apprehensive about it, to say the least. Ever since I joined the unfortunate Recurrent Miscarriage club, I have felt compelled to engage in a range of what some might call ‘extreme’ behaviour (from the little reading I’ve done, people who have suffered trauma tend to do this). The lack of autonomy that any long term illness causes does make seems to make people want to do something to take some of the control back. So I swim. Outside. In lakes and waterways. Don’t misunderstand me, I enjoy it very much. But tomorrow’s two miles will be a challenge. I want to write today about the part of my journey that took swimming away from me. In May 2012 I had my second missed miscarriage (which I really didn’t see coming – I had, rather foolishly, believed people when they told me that I was unlucky, and it was very unlikely to happen again. Idiot.). The baby was showing no signs of coming away naturally, and so an ERPC (eugh phrase) procedure was booked for the next day. I’d had one of those in November 2011, so I knew what to expect. The procedure was uncomplicated, and I returned home to watch daytime TV and eat chocolate ice cream (not actually prescribed by the NHS, but helpful in their own way). Two weeks later, I was still bleeding, quite heavily. I was still getting positive pregnancy tests. It was, as you can imagine, quite distressing. I put my mental recovery on hold while we tried to sort the physical stuff out. After 5 weeks of ‘wait and see’, my GP sent me back to the EPU for another scan. There was some comparing of notes from my file and lots of to-ing and fro-ing. What was that mass? A second ERPC was booked and a further scrape was done. You may be surprised to learn that these procedures are undertaken blind. Yes, that’s right. The surgeon CAN’T SEE WHAT THEY’RE DOING. This time, I lost a lot of blood (I’m not crying incompetence, I was red-raw inside and infection was taking hold. They wanted to make sure they got everything this time; it happens). I spent the day on the recovery ward having my bloods checked. Amazingly, because I am reasonably fit and active, I recovered well (thank you, swimming). But it wasn’t over yet. I continued to bleed. We returned to the hospital again and this time saw the top consultant for a hysteroscopy (procedure where they take a look using a little camera). The mass was back. It couldn’t be removed for fear of causing damage (the dreaded Asherman’s syndrome, where scar tissue fills the uterus, and can lead to infertility). This wasn’t the news I was hoping for. At this point, my local hospital referred me to UCH in London so that someone else could have a look. I must say that the EPU in UCH is like the Disney Land of EPUs. Its set up so well and everyone there is really great and taking care of you. More on them another time. On this occasion, I was scanned by 2 consultants who diagnosed retained products and booked me in for another ERPC in a few days time. I was blooded and consented and ready to roll. The next day, I received a phone call from UCH, could I come back in NOW, the top consultant wants to have another look. So (not panicked at all), I returned to London. This time the plan was more conservative. What I had was a massive blood clot. My poor uterus (not following the stoic example set by the mind) had given up and simply couldn’t be bothered to heal. This was quite common and is sometimes observed in breast feeding mums, I was told. Its hormonal. Your body doesn’t know what to do and has given up. I was prescribed 2 weeks of HRT, which kick started the whole cycle and two weeks later I was back to ‘normal’. I was, obviously, unable to swim (certainly not in lakes and waterways) for the whole summer. Gutted. I shall have to remember how much I missed it when I’m half way round Alton Water tomorrow!